THIS IS IT! LOOK NO FURTHER! The popular SAVOY floor plan! 2BR/den/office/2bath just waiting for you! OPEN LIVING INSIDE AND OUTSIDE! 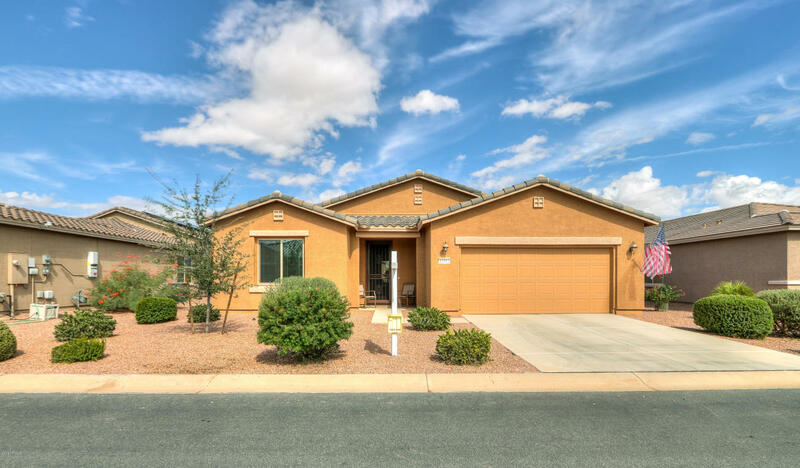 Upgraded staggered kitchen cabinets with roll outs, stainless steel appliances, GAS STOVE, GRANITE, GRANITE, kitchen island, RO system, gorgeous easy clean 18'' tile throughout, professionally painted, bay window in Master BR, WASHER AND DRYER INCLUDED and MUCH MORE! Meticulously maintained and HARDLY LIVED IN! BRAND NEW IRRIGATION SYSTEM PIPING FRONT AND BACKYARD INSTALLED 10/22/18! Furniture and furnishings available under separate bill of sale. Run, Run to this home! WILL NOT LAST LONG!